It’s what all of us want to know – How can I look twenty years younger naturally. We’ve seen the models and stars trying to cling to youth through surgery. No! That is not the answer! You are the answer. I know the pain of looking in the mirror and seeing bags under my eyes, lines down my face, sagging skin – is that me? That can’t be me, I’m much younger than that person. It can seem overwhelming to navigate the myriad of skin creams, diets, exercise routines and vitamins. We want to be our best selves, but we are tired. That’s why I developed this website to easily look twenty years younger naturally! So if you relate to any of the above, you’re probably wondering how you could possibly be the answer. How perfect is that? The reason you are is because I am the answer. You are the answer. We control our own destiny, and we control how good we feel and how good we look. We all can look twenty years younger naturally. Change Isn’t Easy – or is it? It begins with you – and I’m here to tell you that the tools and resources that are available to you here will make transformation an easy adventure. Imagine bouncing out of bed, stretching easily feeling positive about the day ahead. There is no reason to feel like you can’t do it! Do what? Get to a place where your skin glows, your eyes sparkle, and you have peace in your heart? You’re still reading – that tells me you have what it takes! You want to look twenty years younger? Is that really what you want? Why do you want that? If you looked twenty years younger, what would that do for you? How would you feel if you looked twenty years younger? What is it about looking the way you do now that you don’t like. We are going to take a journey to get from where you are to where you want to be. Let’s start by writing down some quick and easy short-term goals. An example of a goal would be, “I will walk 15 minutes on my lunch 3 times weekly in 10 days” or “I will trim my soda consumption to 2 glasses a day in 10 days.” What are you doing that you already know you shouldn’t be doing, or what are you not doing that you know darned well you should be doing? What am I doing that I know darned well I shouldn’t be doing. Why shouldn’t I be doing that? What is it doing to my (health, looks, wellness, mental state)? I know also that I should be doing ________________ every ______________. So what is holding me back? (lack of time, money, ambition)? Could I commit to starting by doing it just once a week? Take a moment, please, and answer these questions for yourself. I welcome all comments and questions! I would love to hear your thoughts and, of course, any ideas or suggestions for future articles. You may also email me at Babs@FountainofYouthLifestyle.com. Thank you for supporting this website. If you purchase any of the products I recommend here, you help to subsidize the expense and time that goes into researching and providing you this important information. I sincerely appreciate it! Remember, I always get the best deals for you, I only recommend products I have tried and approve of, and you never pay more by buying through this website. Thank you for such a vibrant article. You are just full of vibrant energy and I agree that we all need to visualize ourselves in positive situations. Like you said, we need to change the things we have power over and forget the things outside of our control. Keep up the spectacular articles….! Hi Babs 🙂 Who wouldn’t want to look twenty years younger? There are ways to change and anything that helps your skin is a plus, right? We all know we have the ability to change and look and feel younger. We set goals, eat right, exercise. That all makes sense! A lot of it is in our minds too. I can understand a lot of people are looking for the fountain of youth. I’m sure this will appeal to them. I never had the problem of looking older but always younger but my age has been finally catching up to me . Thank you for your tips . You’re welcome, Melody. My pleasure! What a well written and well informed article. The information you have in it will help anyone out whose looking to make a healthier life for themselves, not just someone who wants to look 20 years younger, as that would have me looking like an eight year old haha. Keep up the great work with the . Are there products out there that help you to stay looking young?! This is something I would be very interested in! I’m only 23, but want to keep looking great! Thanks! I agree with a lot of what you say. Sometimes you have to just step away from everything for a moment and figure out what is going right, what is going wrong, what can be done to improve things, even the minor ones; it’s a matter of staying focused and staying motivated as well. Hi Babs! What a nice article and so true! It begins with you! A lot of people are unaware of that! Thank you so much for sharing! Babs, I like this. It’s a Crawl, Walk, Run Approach to making changes. It’s not suggesting to do anything major, just take baby steps. The walking on a regular basis is a good goal for me. I had a baby about 3 months ago and need to get back into exercise now that I’m healthy enough for it again. Good habits now will pay off when I’m older! Thank you for the article. I think it’s great that you’re promoting healthy living rather than quick fixes everybody seems to be after. I’m definetly an advocate for morning exercise and meditation. Such small steps. The fountain of youth lives in the actions you take to improve your physical and mental health. Very informative post Thank you. I now have a different approach to the way I control my exercise and eating. Great read! I don’t have any secrets to looking younger except eating less and exercising more. But that can be hard to do so your tips definitely help. I.would recommend this to anyone who wants a .better version of them and to.feel better. I’m nearly 40 and still look in my 20’s… that comes from quitting smoking 13 years ago. Nice article. If you need changes to happen in your life, you need to change. That includes setting goals, changing your habits … And you sum it up very well here. I was skimming through your website and could see that you are a good advocate of well-being. Please keep spreading the information. This is a great read and similar to what I have written on mines. Your thoughts become things, even what you think of your self will show it self . Great article! I love that you want us to make an intention by writing something down! I think this is so powerful. I really makes you think about what your goals are. This is so important especially when we think about our health and aging. This is a great article! Thank you for sharing it. Great post! Writing things down is key. Doing so helps you visuialize it and make it happen. The universe will give you what you imagine. If you imagine failure, that is what you will get. One thing that I think is key is a healthy diet, and exercise. Diet first though, you can’t out exercise a poor diet. Eat plenty of organic foods, and also GET SLEEP. So many of us are so sleep deprived, I know I am guilty of this as well. Thanks for sharing this it was really helpful!! Neat Website. Visually very attractive. I like the part that says “A friend once said to me, “You can’t control what comes your way, but you can control what you do with it”. I am not sure where this 20 years has its origin from! Why not 15 or 23? Why not wrap around the 2nd picture with What you want? Moving the picture up can do even better. The page looks different in that part. Sometimes eliminating some bad habits could be done incrementally and measuring it until you stop. But habits like smoking if one wants to stop, it is said stop it right away. The current world seem to define aging by appearance by wrinkles and lines. 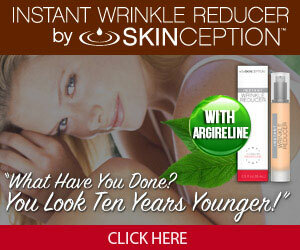 I would like to know how do you reverse the aging due to sun exposure, which seems to be not an option today? Yes I chose 20 years for my title, but heck 23 years younger is even better!